In the BIP32, it does not define the round of HMAC-SHA256. In http://bip32.org/, it use 50,000 rounds. In "mastering Bitcoin", it use 2048 rounds. Is there any explicit standard, or what we suppose to follow? 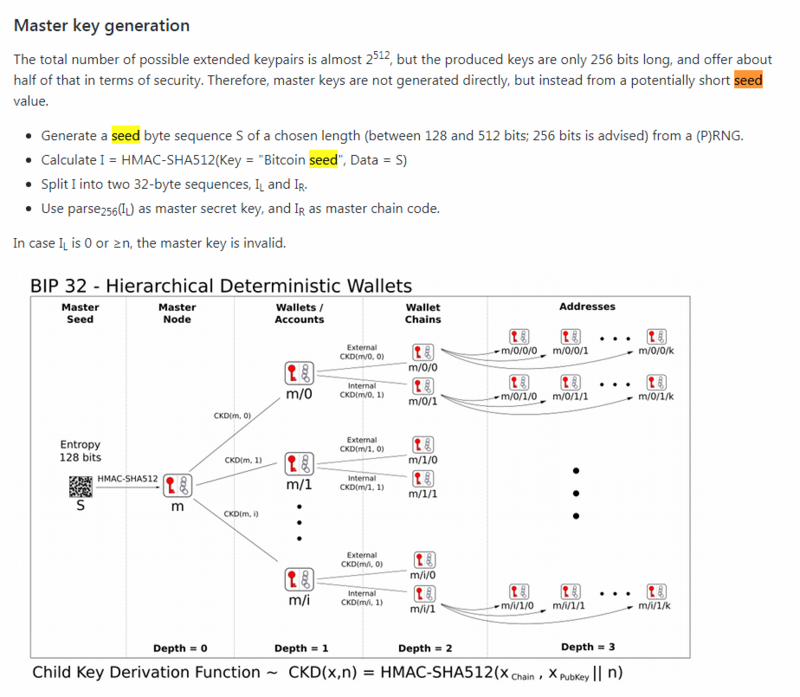 BIP 32 only uses one round of HMAC-SHA512 to go from the seed to the master private key. Neither of the two sources you listed are going from a seed (or passphrase) to the master private key. They are going from a mnemonic or passphrase to the seed. What Mastering Bitcoin is describing is the BIP 39 conversion from mnemonic to BIP 32 seed. From there, that seed will be put though HMAC-SHA512 one more time to get the final master private key. bip32.org is using HMAC-SHA256 (which is not HMAC-SHA512) 50,000 times in order to convert the passphrase you enter into a BIP 32 seed. Again, the resulting value will be hashed one more time using HMAC-SHA512 to get the master private key. Not the answer you're looking for? Browse other questions tagged wallet address-generation bip32 or ask your own question.